4cm (1.5") waistband elastic in various colours. Multiple quantities will be cut as one piece. We recommend sewing with a wider needle to prevent the elastic bobbling. 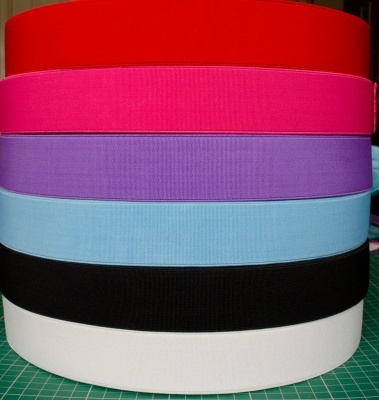 Really great elastic, perfect for the skirts I am making.